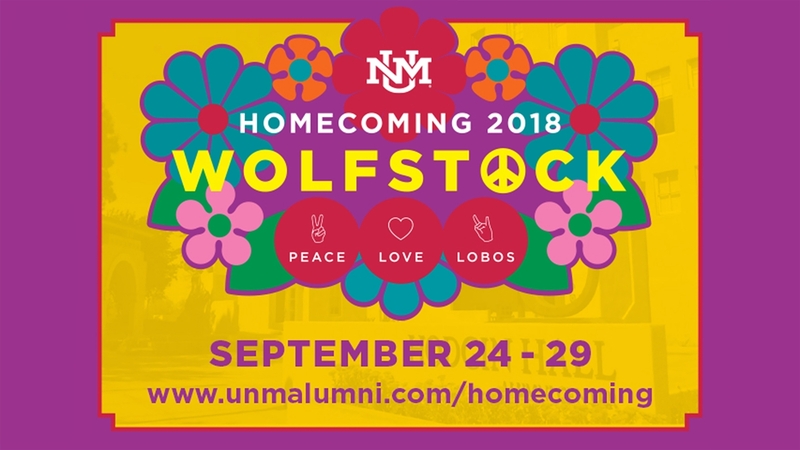 The University of New Mexico howls in excitement as it celebrates Homecoming 2018: Wolfstock – Peace, Love and Lobos – to welcome back alumni and the campus community from Sept. 24 through Sept. 29. As part of the weeklong celebration, Lobos have the opportunity to participate in over 50 separate homecoming events. The celebration is highlighted on Saturday, Sept. 29 when the Lobos take on Liberty University at 4 p.m. at Dreamstyle Stadium, including the coronation of the Homecoming king and queen during halftime of this tradition-rich game. Beginning the week of Sept. 24, the UNM Homecoming Committee will collect pet food, supplies and toys in support the UNM Staff Council’s Happy Tails drive held annually in December. Items can be dropped off throughout the week at Hodgin Hall Alumni Center, Monday through Friday, Sept. 24-29 from 8-5 p.m. In connection with the weeklong community service project, the UNM Alumni Association hosts Peace, Love and Puppieson Monday, Sept. 24 from 11 a.m. to 1 p.m. near the south entrance of Zimmerman Library. The Southwest Canine Corps of Volunteers will be on hand to help the campus community start off its week with wagging tails and healing hearts (aka pet therapy). Formerly known as the Faculty and Staff Alumni Lunch, Picnic on the Plaza is set for Tuesday, Sept. 25. For only $5 a person, enjoy a green chile cheeseburger, pick up homecoming spirit items and take a photo with a groovy Lobo Louie. This event is now open to the entire campus community starting at 11:30 a.m. until supplies run out. Remember to bring your Lobo IDs. On Wednesday, Sept. 26, a men’s soccer tailgate, hosted by the Global Education Office and the UNM Alumni Association will be held from 5 to 7. Game time against St. Mary’s is at 7 p.m. at the UNM Soccer Complex. 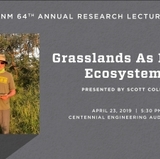 Contact Maria Wolfe, mwolfe@unm.edu, for more information. 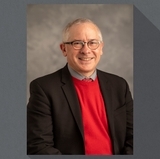 A behind the scenes tour of the New Mexico Office of the Medical Investigator is also scheduled for Wednesday, Sept. 26 from 5:30 to 8 p.m. A welcome and presentation by Dr. Kurt Nolte precedes a tour of the facility. An RSVP is required at www.unmalumni.com/homecoming. Arts in the Afternoon, hosted by UNM’s College of Fine Arts, is featured on Thursday, Sept. 27. The event begins at Tamarind Institute for a presentation and tour of the world-renowned lithography workshop. Then head over to the UNM Art Museum for a behind the scenes look at UNM’s amazing collection. On Friday, Sept. 28, members of the Heritage Club are invited back to campus to enjoy a special brunch honoring the Class of 1968. Brunch will be followed by a special campus tour. 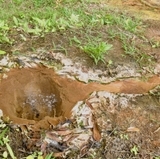 The event, which runs from 10 to 11:30 a.m., costs $25 per person. Back by popular demand, The UNM Alumni Association is brings back Diner en Rouge. Diner en Rouge was a new event last year. Participants wear all red and pack a dinner picnic style. Diner en Rouge will be held Friday, Sept. 28 from 5:30 p.m. to 9 p.m. in the Karen Abraham Courtyard at Hodgin Hall Alumni Center. It too sold out last year so interested attendees are encouraged to purchase tickets in advance. Tickets are $25 per person. On Saturday, Sept. 29, the week wraps up with the All-University Breakfast from 9 a.m. to 11 a.m. at the Doubletree by Hilton. During the breakfast, The UNM Alumni Association recognizes the accomplishments of New Mexico resident alumni through the presentation of the Zia, Lobo and Inspirational Young Alumnus awards. Tickets for the All-University Breakfast are $25 per person. The event is open to the public. with a valid ID. The fun begins at 1 p.m. in the huge tent in the West Lot located on the northwest corner of Dreamstyle Stadium. Finally, the football game between UNM and Liberty kicks off at 4:05 p.m. at Dreamstyle Stadium. At halftime, check out the coronation of the Homecoming king and queen featured as part of the tradition-rich game. Discount tickets to the game for alumni and guests are available for $15 per person. For a complete list of activities and advanced ticket sales call 505-277-5808 or visit UNM Alumni Association Homecoming 2018. To see a list of student-specific events visit ASUNM’s Lobo Spirit.